The other day I was sitting in traffic on I-290 between Naperville and Oak Park. Nothing new there. Traffic is the norm on most Chicago expressways at almost any hour of the day. As I sit in traffic, I usually take a look around, trying to get a feel for the surrounding environment of whatever suburb I am stuck within. I am really not sure where I was (Oak Lawn? Oakville? Oakcrest? ), but I do know it was part of the 15 mile stretch of strip malls that mark Chicago-land west of Wolf Road. In that way, it was the same as it always is: Sandwiches R’ Us, Sports R’ Us, Carpets R’ Us, Electronics R’ Us, etc. But, I noticed a different storefront at this particular outside shopping plaza, and it took me aback. This storefront was a church. A house of worship was right in-between the Dunkin’ Donuts and a Chop Suey restaurant. I guess I have noticed these before, but as I sat in traffic and looked intently at this church I started to really think about its existence. I was flooded with despondency looking at that strip-mall church. It took me the whole ride of stop-and- go traffic to figure out why this feeling was so overpowering. First, a confession: I am not religious in any way. Yet, a lack of religion does not mean a lack of spirituality. Spirituality should be understood as an attempt to commune with the sacred. Organized religion is just one method of creating this communion. The larger spiritual desire for the sacred is universal amongst all human cultures, and different methods are used by different peoples. This spiritual quest for the sacred is what I understand. I think it is a necessary aspect for ‘humanity.’ As the moral psychologist Jonathan Haidt has pointed out recently, we often find this sacredness within a larger community or group. Humans look for, and hope for, something beyond their individual well-being, and when they find that larger purpose, they discover the sacred. Churches and religious practices provide only one, though undoubtedly the most well-known, opportunity for individuals to lose their profane individuality to the sacredness of a larger group or purpose. simply in a family home. Friends and fellow believers sat around a kitchen table saying prayers, singing songs, and feeling the sacredness of an ‘agape’, or love-feast. 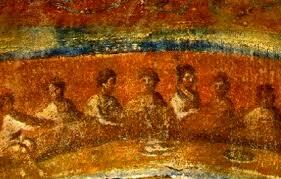 Here the sacredness of the family was simply extended to a small number of non-biological ‘brothers and sisters’. My previously mentioned despondency was caused by the place and design of the strip mall church. A strip-mall church cripples sacredness by wrapping the institution in our most profane ideals. Strip-malls are banal and ugly. The sacred is unique and awe inspiring. Strip malls are cheap and ephemeral. The sacred is timeless. Strip-malls are quick and convenient. The sacred is difficult and fulfilling. Strip-malls are about hyper-individualism; walking, talking, discussing, sharing experiences within a strip-mall is difficult and discouraged. If you stay longer than 2 hours, your car in the parking lot will be towed. The sacred is about losing yourself into something larger. In his recent book, What Money Can’t Buy: The Moral Limits of Markets, the political philosopher Michael Sandel points out that America has gone from being a market economy (a possibly positive thing) to a market society (an incredibly profane system). Nothing is sacred in such a society, as everything is for sale. 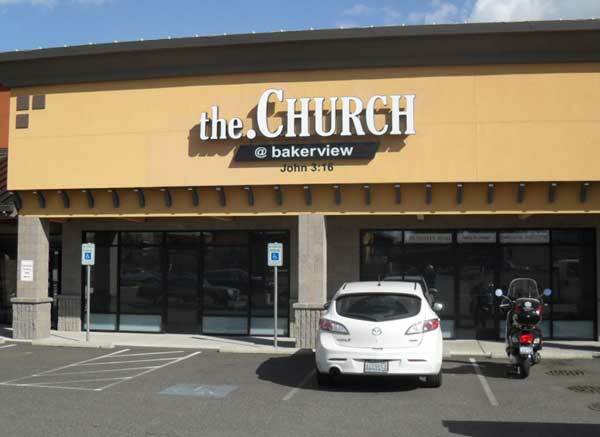 Perhaps strip-mall churches are the newest incarnation of this market society. Perhaps it is the wave of the future. If that is the case, I think there is going to be more and more despondency developing along our expressways. 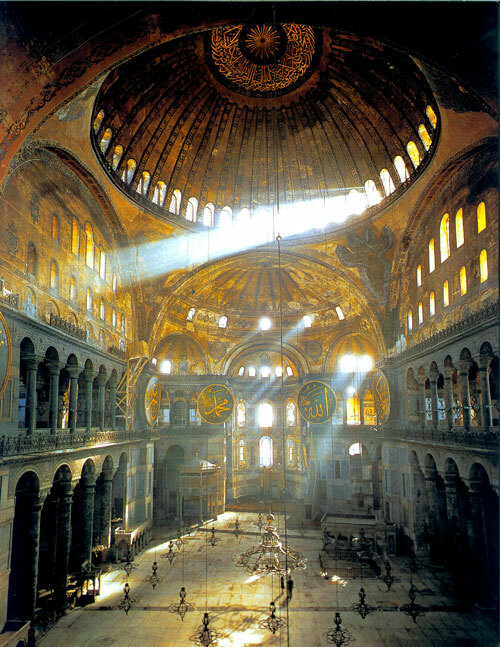 I’ve always been interested in how “Place and design are central to sacredness”. In undergrad, my Religious Art course toured churches and cathedrals in Chicago, all of which seemed more powerful than any of the Catholic churches I was taken to as a child in the suburbs. Then when I went to Canterbury Cathedral in England, I was blown away. That was one of the most “sacred” feeling places I’ve ever been, which was a stark contrast to the church my parents went to while I was a teen which felt and looked like a very boring, modern building that was barely a step above the stripmall church.